As any athlete knows, there is nothing worse than being unable to perform your best because of pain and injury. 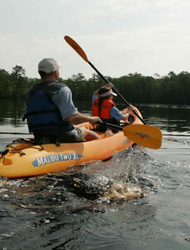 Unfortunately, paddling injuries are a common occurrence in such activities as canoeing, kayaking, rowing, and dragon boat racing. To make matters worse, these injuries are often slow to respond to traditional types of care, keeping paddlers sidelined for weeks, and sometimes months at a time. Now for the good news, a new treatment technique known as Active Release Technique (ART) is proving to be a very effective treatment method to address many common paddling injuries and is helping athletes get back on the water quickly and effectively. But before we talk as to why ART works so effectively, we must first understand how paddling injuries occur in the first place. Acute injuries occur following a trauma, such as a fall or major collision. Repetitive injuries, like the name implies, occur slowly overt time as a result of performing the same motions over and over again improperly. Repetitive injuries are more common in paddling sports. Over time these repetitive forces occur, creating micro trauma which initially is not painful but may be perceived as a minor ache or pain. Slowly scar tissue develops creating adhesions and low of relative motion between structures. This leads to tightness, stiffness, restricted joint motion, and diminished blood flow. ART will breakup restrictive adhesions reinstate normal tissue flexibility, while restoring balance and stability to the injured area and to the entire kinetic chain. Basically it restores healthy relative motion between structures. One of the best things about ART is how quickly it works and usually within 6 visits significant progress is made even for long standing problems. 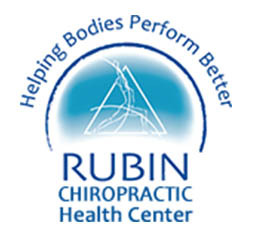 Dr. Scott Rubin DC CCSP is full body certified in ART and part of the ART elite provider network. Call 727-8222-1555 in St. Petersburg Fl, for an appointment.